Keeping your personal and online data private and secure is paramount. 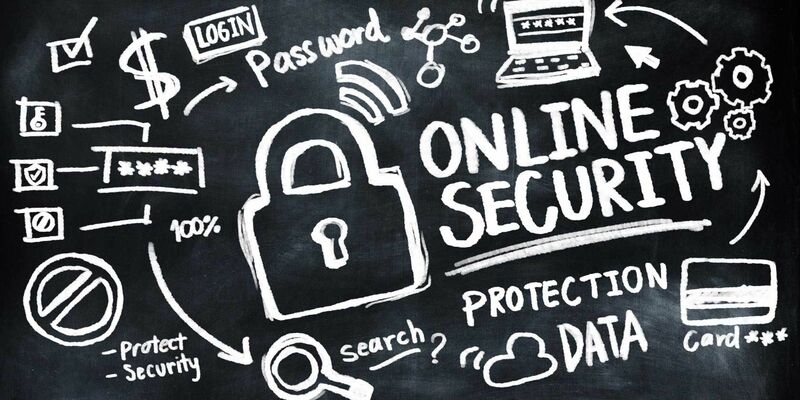 You’ll learn how to stay safe online with the best firewall and anti-virus software, how to manage your passwords and how to recognise scams and security risks. Has SOPA, the controversial anti-piracy legislation defeated in 2011, returned? Not quite. But recent events concerning the role of piracy in international trade, are concerning, and worth your attention. Security researchers are usually thanked (or even rewarded) when vulnerabilities are found. But Volkswagen slapped a gag order on researchers who discovered how easy it was to hack a keyless car system. You’d be surprised to discover where all malware is lingering today. It’s no longer just average computers, but more likely anything with some sort of connected device, including toys. Online Banking Card Readers: How Do They Work and How Secure Are They? Online banking card readers have been around since the late 2000s, offering an extra layer of security beyond traditional online authentication. We look at how they work and if if they’re really that secure. The Ashley Madison dating site was recently hacked by hackers who threatened to leak the entire database unless the site closed. This week, the database has been leaked. Are your indiscretions about to become public? Malware removal can be frustrating and time consuming. And not all security suites are made equal. This article will help you spot malware activity on your PC and employ the right tactics to remove it. Scammers can use software suites to exploit vulnerabilities and create malware. But what are these exploit kits? Where do they come from? And how can they be stopped? While Windows 10 has some issues that users need to be aware of, many claims have been blown out of proportion. Here’s our guide to everything you need to know about Windows 10’s privacy issues. Does Your Mac Really Need A Firewall? Dig through your Mac’s settings and you’ll find a firewall, turned off by default. Isn’t that insecure? Why would Apple be so irresonsible? Want to stay safe online? Then forget everything you think you know about passwords, antivirus and online security because it’s time to be retrained. Here’s what the experts actually do. A number of scammers are taking advantage of the enthusiasm and confusion for Windows 10, with several new scams targeting customers. Here’s what you need to look for, and stay safe. AT&T Wants You to Pay for Your Privacy, but Is It Worth It? AT&T, the telephone and Internet Service Provider (ISP) wants to protect your privacy. For just $29 a month you can opt out of GigaPower’s user tracking “service”. Is it worth it? How Secure Are Internet-Connected, Self Driving Cars? Are self driving cars safe? Could Internet-connected automobiles be used to cause accidents, or even assassinate dissenters? Google hopes not, but a recent experiment shows there is still a long way to go. Privacy Badger’s aim is to be a silent protector for regular users, working in the background, guarding your information from being sent to advertisers and malicious third parties. But does it fulfill this aim? You need to fire up Firefox and download the latest version right now. Mozilla has issued a critical update that fixes a major security flaw, which could let hackers steal files from your hard drive. The potential benefits of the Internet of Things grow bright, while the dangers are cast into the quiet shadows. It’s time to draw attention to these dangers with seven terrifying promises of the IoT. Despite high profile and embarrassing security breaches, eBay remains very popular, but it’s a big target for fraudulent activity. So how do you reduce the risk of being a victim of online eBay scammers? Do you encrypt the data on your smartphone? If not, you risk having your data stolen the moment you lose your device. Encrypting your data is easy; all you need is the right software. A new Android vulnerability has the security world worried – and it leaves your smartphone extremely vulnerable. The StageFright bug allows malicious code to be sent by MMS. What can you do about this security nightmare? When Microsoft stopped supporting XP in 2014, they also announced that Microsoft Security Essentials would no longer be available, with updates for existing users available for a limited time only. That limited time has now ended. Our smartphones are full of sensitive information, so how can we keep ourselves safe? With Android Lollipop, which packs a big punch in the security arena, bringing in features that improve security across the board. Discreet online dating site Ashley Madison (targeted primarily at cheating spouses) has been hacked. However this is a far more serious issue than has been portrayed in the press, with considerable implications for user safety. What Are Smart Credit Cards, And How Do They Work? Are you tired of juggling half a dozen credit and debit cards in your wallet? I know I am.